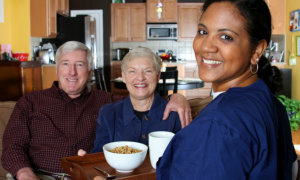 Services | Home Care in New Jersey | Betty Nursing Services, Inc.
Betty Nursing Services, Inc. is a full-service home care agency. We deliver high-quality, person-centered home care services to our clients at the place where they are most comfortable, their own home. We deliver services that are specifically designed to the needs of every person that we serve. We operate on the understanding that no two clients are the same. Meaning, we take the time to understand our client’s individual needs and from there, we prepare a personalized care plan that best suits their circumstances, care requirements, and personal preferences. We go that extra mile to make certain that we are able to provide the services that you need. In the provision of our services and employment opportunities, Betty Nursing Services, Inc. does not discriminate against gender, ethnic background, gender identity, race, color, sexual orientation, marital status, creed, religion, or social background. For a thorough evaluation of your home care needs, we encourage you to set an appointment now. Got other questions and concerns? Give us a call at 908-248-8429 / 201-417-6328 / 973-687-8282 for assistance.